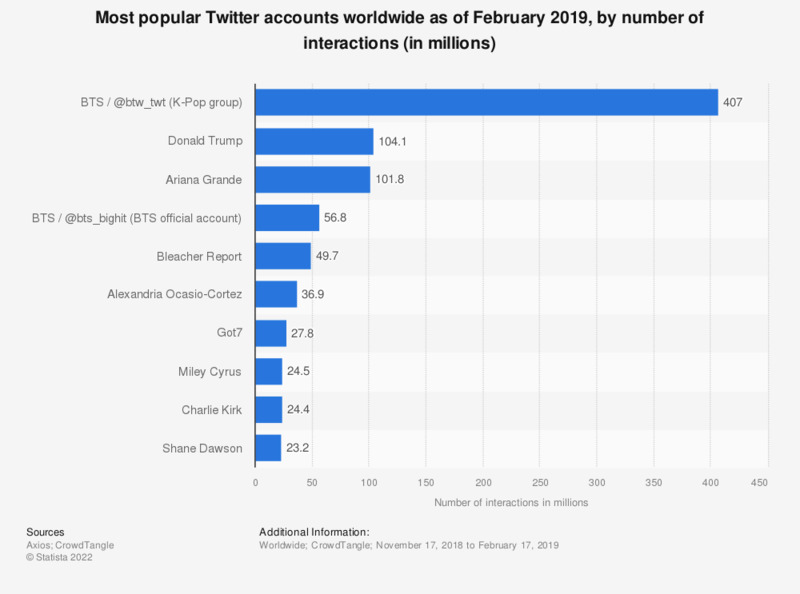 This statistic presents the top ten Twitter accounts worldwide from November 2018 to February 2019, by number of interactions. According to the findings, the K-Pop group BTS (@bts_twt) was ranked first during the recorded period with a total of 407 million interactions. Coming in third place was the music artist Ariana Grande (@ArianaGrande), who had a total of 101.8 million interactions on Twitter. Twitter interactions are defined as retweets plus likes.